Here is an Elementary worksheet. 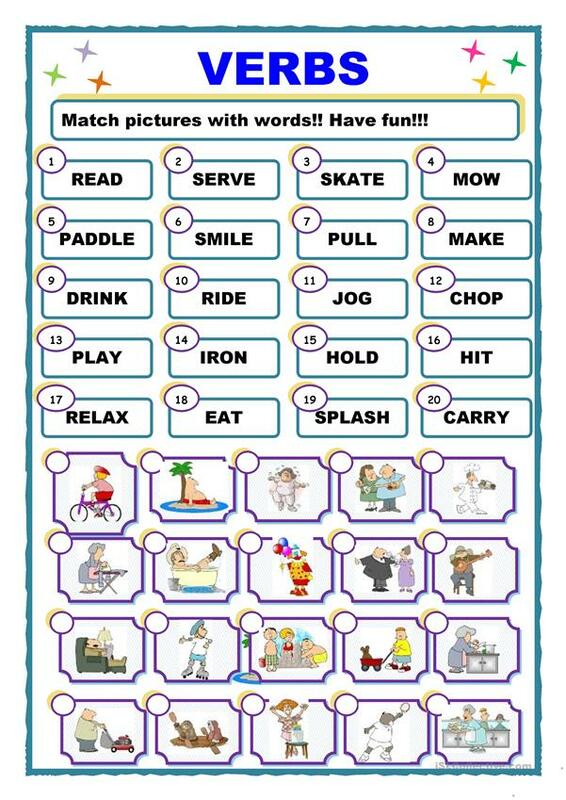 Students need to match verbs with the pictures and make up sentences in any tense you like. This downloadable printable is best suited for elementary school students at Elementary (A1) level. It was designed for developing your class' Writing skills.